Our annual community events are designed to engage our CCDS community in the spirit of strength and unity. Because, as members of a rare disease community, sharing the journey is the best way for us to be our strongest as individuals, and as an advocacy group. Education, advocacy, and research are the focus of the ACD mission. 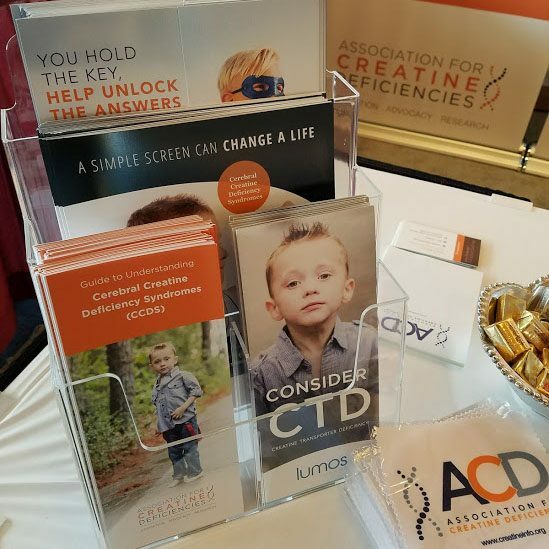 Exhibiting at conferences and events is where we focus our education efforts by raising awareness in the medical field of how to recognize and screen for CCDS, sharing current advancements in research and newborn screening, and sharing educational materials. Workshops are where we increase the knowledge and grow the advocacy network of ACD board members and volunteers. At this meeting, we were able to speak to many children’s neurologists about the need for early diagnosis of CCDS. We were also able to answer their questions thanks to information from a survey completed by CCDS families. ACD’s first ever benefit concert, “Rockin’ for a Cause”, was held in Austin, Texas at the Mercer Street Dance Hall. 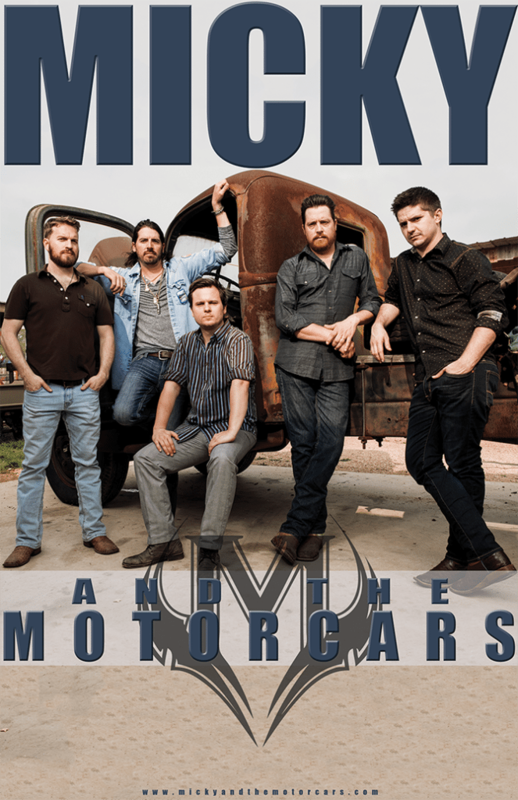 Live music was provided by Worn Out Souls and headliner Micky and the Motorcars. The event brought in over 200 people in support of CCDS and raised over $52,000! All proceeds from Rockin’ for a Cause go directly toward supporting programs for research, education, newborn screening advocacy efforts, and patient support initiatives. The 2017 ACMG conference in Phoenix, Arizona was well attended by geneticists from all over the world as well as other allied health care members. 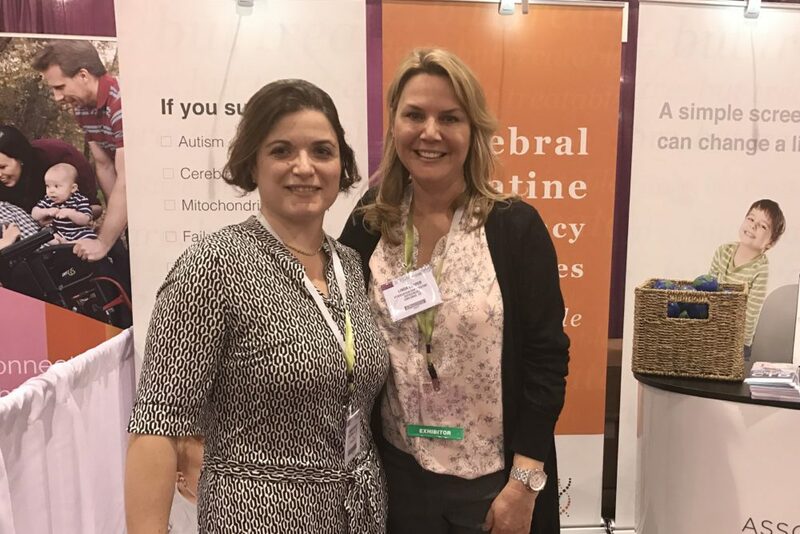 The ACD was privileged to speak with hundreds of attendees that visited their booth, including Dr. Simona Bianconi from the NIH. Dr. Bianconi has a current publication in the Rare Neurological Disease Special Report on Creatine Transporter Deficiency Disorder. The publication can be viewed here on page 51. 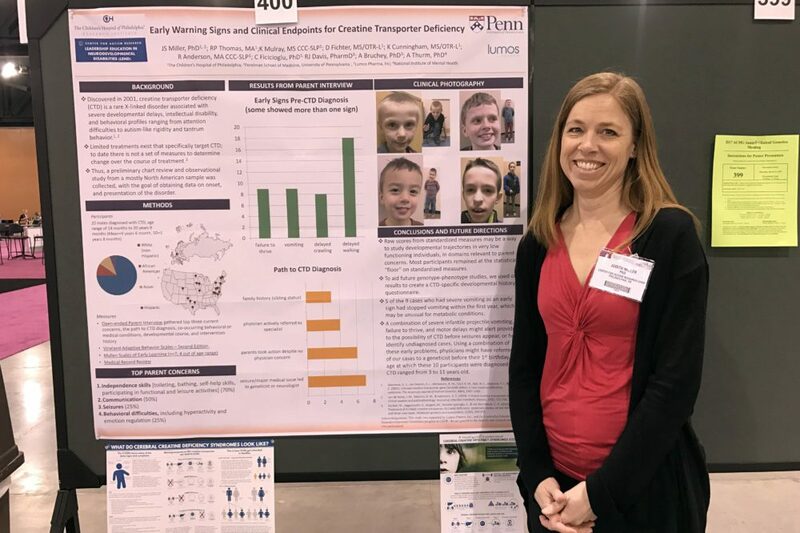 Dr. Judy Miller from Children’s Hospital of Philadelphia was in attendance and presented her research findings in the poster “Early Warning Signs and Clinical Endpoints for Creatine Transpoter Deficiency”, raising even more awareness of CCDS in the genetics community. 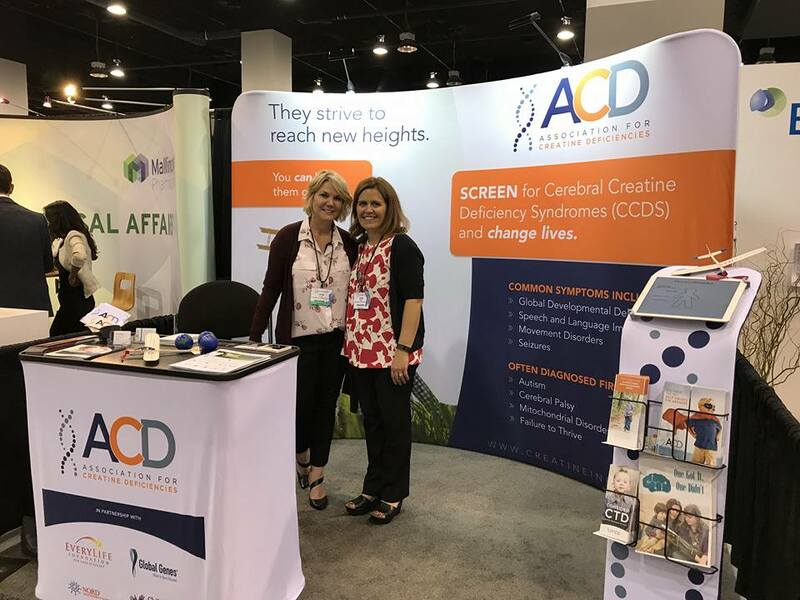 ACD Ambassador and pediatric genetic counselor, Laura Martin, attended ACMG and helped staff the booth and answer questions. In 2017 we celebrated our first Cerebral Creatine Deficiency Syndrome Awareness Day on February 1st. This is a fitting time of year to recognize the importance of these rare disorders, as the world-wide Rare Disease Day falls on February 28th. The month was filled with posts of support and sharing CCDS education amongst all. 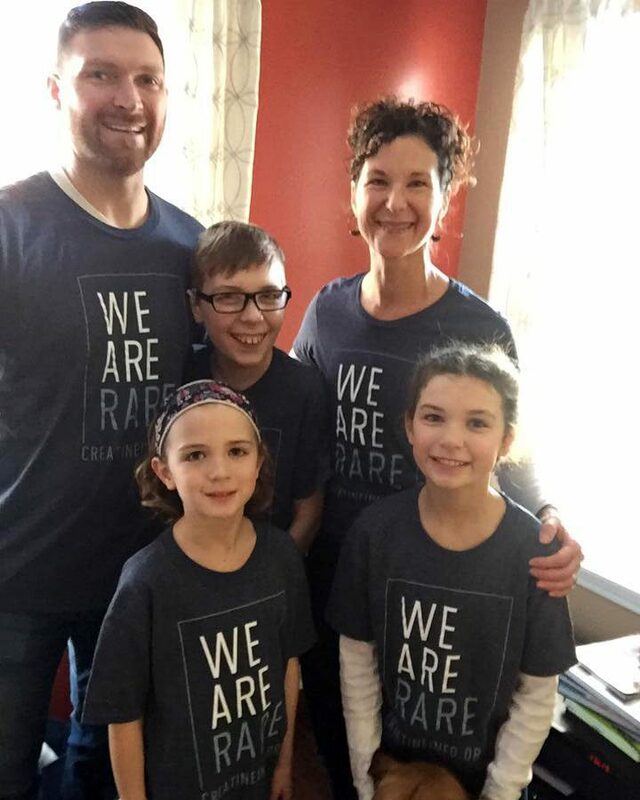 The sense of community was inspiring as profiles on FaceBook were changed to a virtual CCDS ribbon and pictures were posted of families wearing “We Are Rare” t-shirts. ACD is already planning towards the next CCDS Day, February 1, 2018! 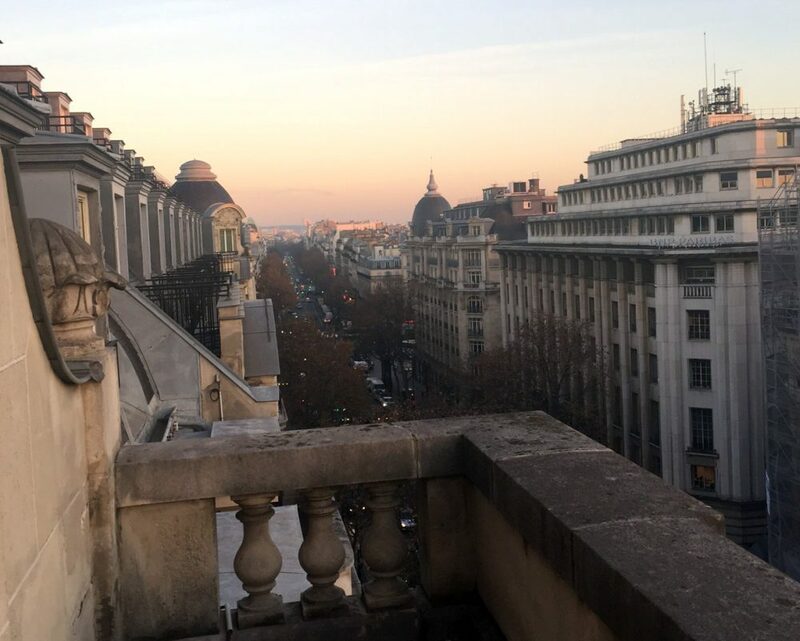 The ACD was honored to attend the CTD workshop, organized by Dr. Aurore Curie, Dr. Vincent des Portes and representatives of DeficSience and Xtraordinaire. For two days, CTD held center stage. Discussions focused on the disease itself, importance of collecting natural history data, potential intervention therapies, and the need for clinical trials. The call for a CTD treatment is getting louder. With data provided by our patient community, we were able to share the patient perspective relating to natural history outcomes and feelings surrounding clinical trials. The ACD’s CTD Presentation can be viewed here. The Child Neurology Society (CNS) 2016 meeting was an excellent opportunity to collaborate with industry, clinicians, and patient advocates. ACD’s attendees discussed the importance of continued education around neurodevelopmental disorders and we were honored with the opportunity to attend the Child Neurology Foundation’s CAB meeting, comprised of a diverse group of innovators interested in changing the future of medicine. The voice of the patient advocate groups are resonating with both industry and clinicians, and it is becoming very apparent that success will depend on bringing these three groups together to help improve the diagnostic process, as well as the future of research and drug development. Global Genes is the leading rare disease advocacy organization with global reach to the worldwide community of rare disease patients, caregivers, advocates, and clinical partners. This conference was the 3rd year that the ACD had attended in Huntington Beach, CA. Each year the ACD has had the privilege of listening to some of the most well respected medical professionals in the country. This year was no exception. We had the opportunity to hear about innovation such as 3D tissue generation. No, they can’t make a new liver or heart, yet…but they are working on it. We heard from the NIH and how they are working on trying to house a patient registry that brings different research partners together, and more importantly, the advocacy information. Collaboration is the key, and without it, a cure for a rare disease moves slower or not at all. 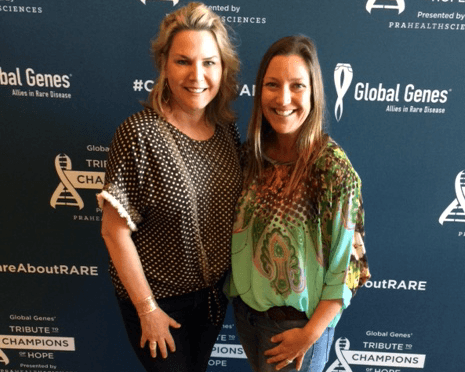 The Global Genes Summit reminds us that we, as a rare disease community, are strongest working together. Thousands attended the Walk Now for Autism Speaks event at the Rose Bowl in Pasadena, California. Opening ceremonies for the 14th annual 5K event kicked off at 9 a.m. The walk benefited autism research and programs to raise awareness. 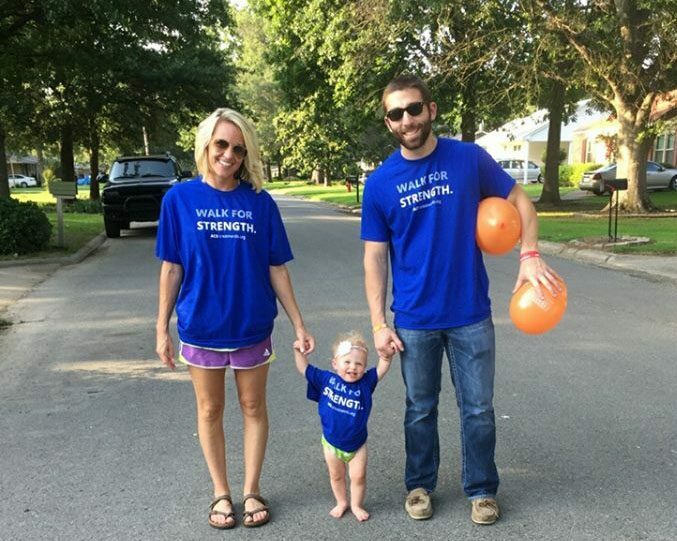 With a very high percentage of CCDS patients being diagnosed with an Autism Spectrum Disorder early on in their diagnosis journey, it is important for us to reach this community and the Autism Speaks walk is a good way to do it. Kim Tuminello, her daughter Paige, and Evelyn and Efrin De Jesus all attended on behalf of ACD. They passed out brochures on CCDS and how to test for them, played games, and interacted with a community that is still searching for answers. 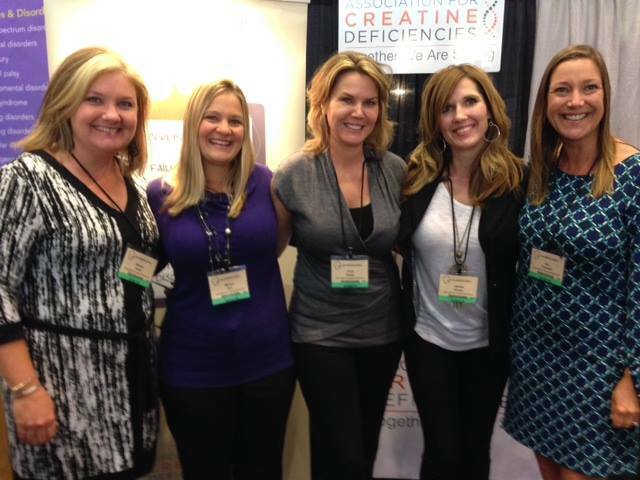 Whitnie Strauss, Kim Tuminello, and Laura Martin from ACD along with Jodi Keene, all attended the American College of Medical Genetics and Genomics (ACMG) Annual Clinical Genetics Meeting 2016 at the Tampa Convention Center, Tampa, Florida. The targeted audience for this medical event is for medical and clinical geneticists, genetic counselors, pediatric, obstetric, and maternal fetal specialists. The ACMG meeting provides genetics professionals with the opportunity to learn how genetics and genomics are being integrated into medical or clinical practice. The ACMG Annual Meeting Program Committee has developed a high caliber, scientific program that presents the latest developments and research in clinical genetics and genomics. The ACD attended the “U.R. Our Hope” chili cook off in Kyle, Texas. 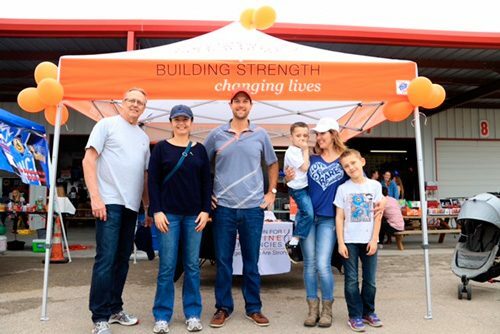 It was a great event and raised more awareness of cerebral creatine deficiencies in the community. We even saw some folks from Lumos there. The ACD was thrilled to exhibit at the Child Neurology Society 2014 Meeting. All five ACD Board Members were in attendance. The CNS Scientific Meeting is designed by, and is primarily intended for, child neurologists and professionals in fields of study related to neurologic and developmental disorders in children and adolescents. As a result of attending this meeting, the physicians will be better able to care for children with neurological disease through an understanding of recent advances in neuroscience, neurodiagnostics and therapeutics relevant to child neurology. The ACD Exhibit booth was very busy with attendees. 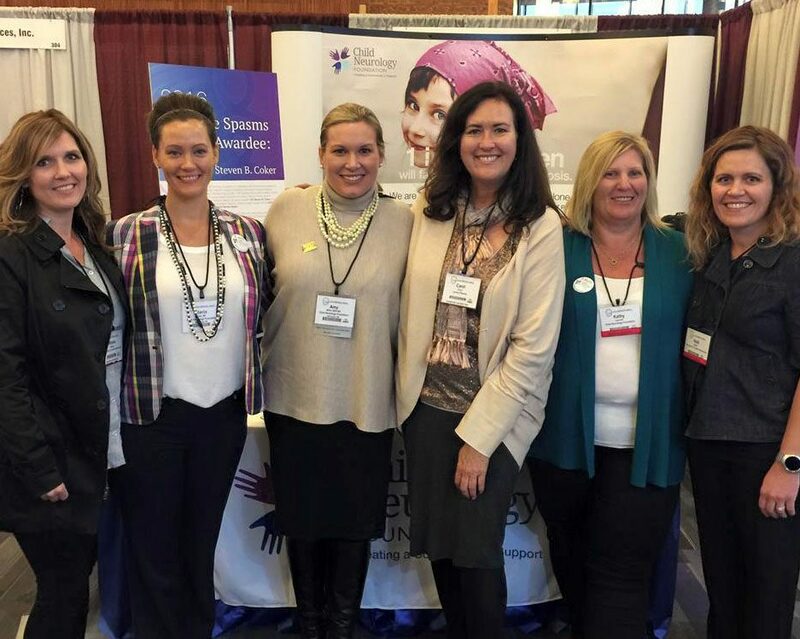 We were able to educate and advocate for CCDS screening. All attendees that stopped by the booth had an interest in CCDS screening and lab information. We are in hopes that we can make this meeting annually. 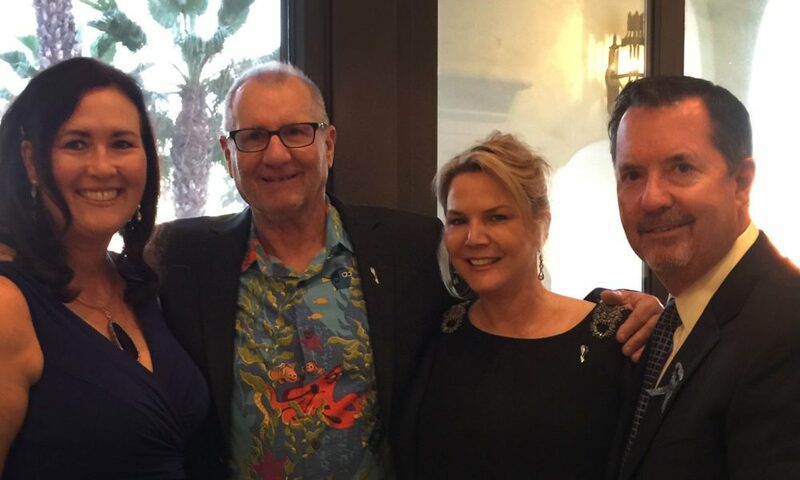 The ACD attended the 2014 Global Genes Allies and Rare Disease Advocacy Summit, in Huntington Beach, California. At this year’s event, the ACD left with helpful information and new contacts. We attended workshops to learn more about Patient Registries, Grant Writing, and Fundraising. This was Global Gene’s 3rd Annual Summit and was host to over 350 attendees and over 1,000 participated via webcam. 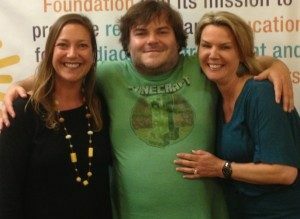 To see more, go to www.globalgenes.org. 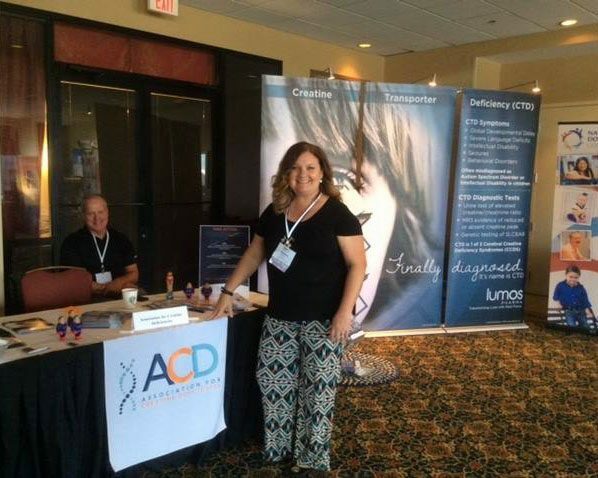 The ACD was thrilled to exhibit at the UMDF Mitochondrial Medicine 2013 Symposium that was held in Newport Beach, California. This symposium encourages the exchange of information and cultivates networking among physicians, researchers, patients and families for mitochondrial diseases. Linda Cooper and Kim Tuminello were in attendance for the ACD and met many wonderful people! They had a very active booth and were able to connect with professionals that gave them guidance related to patient advocacy groups. The most frequently shared advice to the ACD was to increase our patient registry! This is a must in accomplishing our goals. We take this information to heart and will actively work on connecting with other organizations, the medical community at large, lab facilities, patients, and families to improve our patient registry. 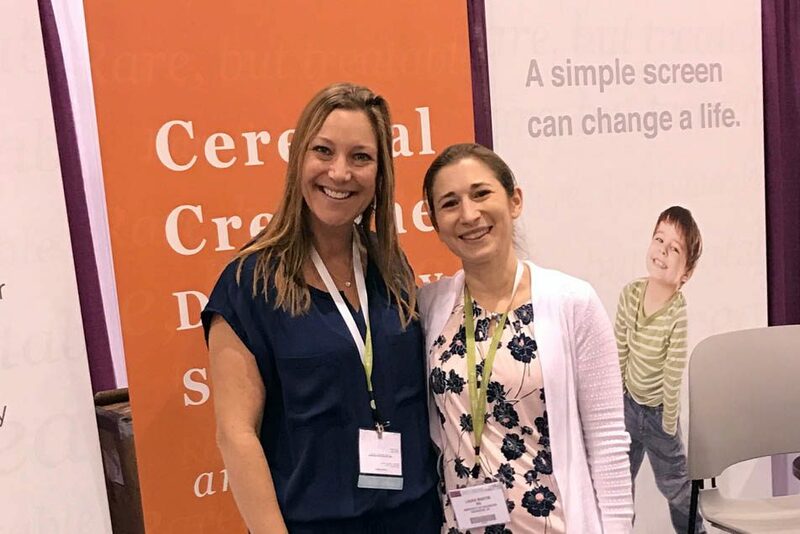 The ACD will continue to exhibit at future conferences that connect with Cerebral Creatine Deficiency Syndromes. Look who else was at the UMDF Symposium.